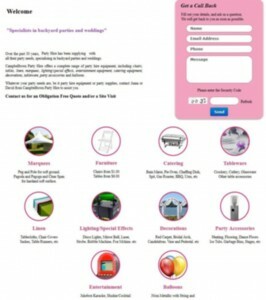 When you have an online Party Hire business, life is one big PARTY. This domain name was an online party hire website for over 10 years, first registered back in 2003 the website was the online presence for a physical party hire shop. With such great history and the large number of references in Google this domain name is the excellent platform to propel a start-up party hire business to the next level. If you did not want to worry about the hire side of things you could always just sell party supplies, such as paper plates, cups, balloons etc. These could be sourced from china wholesalers and purchased in bulk and provide you with an excellent mark up. Look to stores like www.alibaba.com, just search for Party decorations as a starting point to get you inspired as to what you can do with a little imagination and some business acumen. Escape the 9 to 5, start your own website and start living the life only dreams are made of. Posted in Available Domains and tagged Drop-Shipping, E-Commerce, Hire, Party Hire.